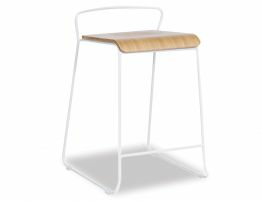 The most elegant of stools has arrived here at Relaxhouse and we are thrilled to announce this one. 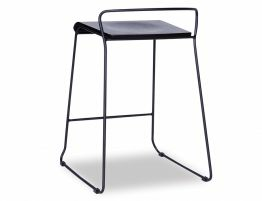 The Krafter Stool with a black powder coated metal frame and black stained wooden seat represents strength and style. 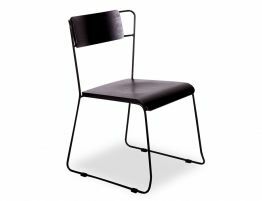 The bold contemporary feel of this chair is heavy and vigorous yet an unyielding form of architecture. 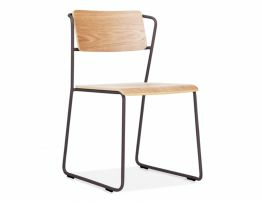 The sound formation of the Krafter stool is exceptional and unmistakably clear in its design concept. 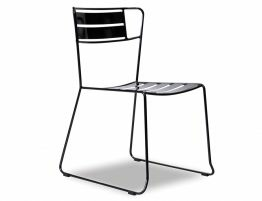 The black narrow lines of the frame work don't seem to take over but merely embrace the slab of timber for the seat and the subdued backrest is enough to feel support. 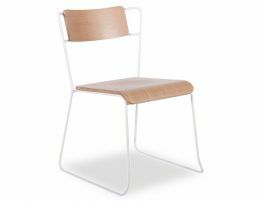 The waterfall edge of the solid wooden seat adds character and comfort while a slight dip in the centre of the seat stops a more robust sensation. 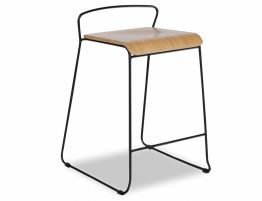 The Krafter Stool is bound by its architectural style and must be honoured with the most glamorous of designer interiors.